Sidelined M Manoharan’s family have accused DAP leaders including national party advisor Lim Kit Siang of using his children in the 2008 election to curry votes. GEORGE TOWN: Dropped Kota Alam Shah incumbent M Manoharan’s wife has slammed DAP leaders describing them as “ungrateful” and “inconsiderate” people who “used” her children to garner support in the 2008 general elections. S Pushpaneela said DAP national advisor Lim Kit Siang and party leaders had put their then 10-year-old son Hariharan on stage to harvest sympathy votes for the party when Manoharan was detained under the now repealed Internal Security Act but had ‘no courtesy’ to inform them as to why he was dropped. She recalled the Hin Hwa Chinese school had seen the biggest every crowd to gather for a DAP rally in Klang in the 2008 polls. “They used our children to draw sympathy only to turn their backs on Manoharan now. My children are shattered,” she told FMT here today. Manoharan and Pushpaneela have two other children Shivaranjini and Ganendra. Manoharan won Kota Alam Shah state seat in Selangor while still in Kamunting Detention Centre. Pushpaneela said her children’s believe and faith in the credibility of DAP leaders crashed on April 19, 2013, the day DAP finalized its candidates list. She said her children were proud of their father for being clean and compassion and are now wondering what had happened. “Where is the gratification? Where is justice? We are left in the dark,” she said. She said thus far none of the DAP leaders had had the courtesy to explain to Manoharan why he was dropped and replaced by V Ganabatirau. “For all his genuine hard work and sacrifices, till today no leader has called to justify the decision to drop him. “We demand to know why he was dropped,” she said adding that if indeed there had been an issue, Manoharan was never contacted or summoned for a explaination. She said her husband was ready to face anyone if there was an issue because he was honest and always upheld integrity and righteousness. “He has nothing to hide. There is no moral issue. His conscience is clear,” said Pushpaneela. Former Sabah chief minister Yong Teck Lee said the Sabah Constitution prevented Pakatan Rakyat from forming the state government, even it it won a majority of seats. KOTA KINABALU: Sabah Progressive Party (SAPP) has reminded voters that under the Constitution of Sabah, only a political party with a majority of seats in the Sabah Legislative Assembly shall form the Sabah government. “Unregistered parties and unregistered coalition of parties and NGOs are not qualified under the law to be elected as governments,” its president Yong Teck Lee said in a statement here. The target of his reprimand is Pakatan Rakyat, the loose coalition of opposition parties and friendly groupings which remains an unregistered body. Yong, who tried to seal an election pact with the Anwar Ibrahim-led Pakatan in order to reduce the field of contenders in next month’s election, said it would be a waste to vote for candidates fielded by the coalition for the state constituencies. Yong reiterated that in order to fulfil its struggle for political autonomy, SAPP would contest a majority of state seats so that the Sabah government would be elected by the people of Sabah and answerable only to the people of Sabah. “SAPP believes that this Barisan Nasional regime can be toppled through the ballot box at both the state and federal levels. “Unlike Pakatan whose leaders have already conceded Sabah to the BN, SAPP believes that the Sabah BN government can be voted out on May 5. “This has happened a few times in Sabah’s 50-year political history and can happen again on May 5, he said. SAPP will contest 41 state and eight parliamentary seats. Yong, a former chief minister, said in parliamentary and state seats not contested by the party, “SAPP will support the strongest opposition candidate who can beat the BN candidate”. “As for the 41 state seats, 38 candidates will be announced tonight. The remaining three seats will be announced very soon pending a firm and clear picture of what STAR [State Reform Party] and other opposition parties plan to do. “Our aim is that the BN must be defeated. We did not expect that the infighting between PKR/PAS/DAP to be so intensely divisive to the extent that the chances of the opposition in capturing the state seats concerned is now jeopardised. “If we had known earlier that disarray within Pakatan would be so crippling, we would have made preparations to contest more state seats. “We will reveal these seats in the next one or two days after we know the final outcome of the infighting between PKR/PAS/DAP,” he added. 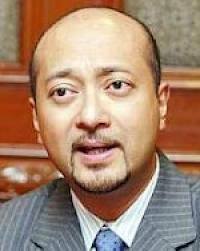 Mukhriz Mahathir bakal Mentri Besar Kedah? ALOR SETAR: Datuk Mukhriz Mahathir will contest in the Ayer Hitam state seat while new new face Dr Zamani Abdul Rashid, 35, is the youngest candidate fielded by Barisan Nasional in Kedah for the Kuala Kedah parliamentary seat. List of candidates for Kedah state and parliamentary seats. JOHOR BAHRU 16 April - Berikut senarai penuh calon Barisan Nasional (BN) bagi negeri Johor yang akan bertanding pada Pilihan Raya Umum Ke-13 (PRU-13) 5 Mei ini. PAS president Abdul Hadi Awang today named the party's candidates for seven constituencies in Sarawak, but three of the MP seats are also being claimed by Pakatan Rakyat partners DAP and PKR. The candidates are Abang Ahmad Kerdee Abang Masagus, a lawyer (for Kota Samarahan); Robby @ Muhamad Zaid Tandang, PAS Youth leader (Sibuti); Mohamad Jolhi, a homeopathy practitioner and PAS director of election, Sarawak (Batang Sadong); Ajji Ajiji, a businessman (Igan); Ambrose Labang Jamba, editor of Buletin Kenyalang (Julau); Jurina Mut, a businesswoman (Tanjung Manis); and Nani Sahari, a businesswoman (Mukah). Meanwhile, PKR also claimed Julau and Kota Samarahan, while DAP has named Hai Merawin @ Bonaventure for Mukah. Hadi said the list of candidates has been finalised and agreed to by DAP and PKR. The decision was made in the past few days. Hadi (left) said that the decision of the party to contest in Julau was to show that the party did not have candidates for Muslim majority constituencies only, but also in non-Muslim constituencies. Julau has about 90 percent Iban voters, the majority of whom are Christians. "We want to show that we have Iban and non-Muslims as our candidates," he said. But PAS’ decision to contest in Kota Samarahan and Julau is set to clash with PKR Sarawak, which has firmly established its roots in the two constituencies. Last month, more than 3,000 people in Kota Samarahan attended a PKR ceramah where party de facto leader Anwar Ibrahim spoke at length. When asked about the PAS candidates announcement, Sarawak PKR chairperson Baru Bian (right) expressed shock and said that he has not been informed of the decision. "I will find out from Kuala Lumpur. I am shocked that I have not been informed of the decision," Baru said. He said he had directed Andy Wong, PKR's potential candidate for Julau to be on standby, pointing out that he might have to contest as an independent. In Sibu, Sarawak DAP chairperson Wong Ho Leng refused to comment on the decision of PAS to contest in Mukah. 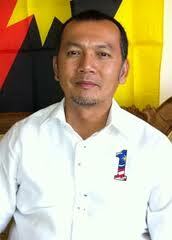 Wong had earlier named Hai Merawin as the DAP candidate for the parliamentary seat. KUCHING: Pesaka Bumiputera Bersatu (PBB) Batu Kawah branch has thrown its full support behind incumbent Datuk Yong Khoon Seng to defend the Stampin seat in the 13th general election. Its chief Datuk Ahmad Ibrahim said the branch is in full support of Yong as they believe he has a better chance of retaining the seat for Barisan Nasional. “We are confident that he will win the seat. This is because the people already have their trust and confidence in him, on his leadership over the duration of his past service. “In this constituency, we don’t have problems with the Bumiputera voters but he had to work hard because what we are worried about now is the (voting trend) of the non-Bumiputera voters,” he said, adding that there are 2,346 voters in the constituency. Earlier in his speech at function in handing over the boat to Kampung Sinar Budi Lama Neighbourhood Watch, he said the branch and other Barisan Nasional members are totally behind Yong. After the ceremony, he also handed over their letter of support to Yong. Yong’s candidacy was confirmed on Friday to defend Stampin following a request by BN chairman Datuk Seri Najib Tun Razak. KUCHING: The views expressed by individuals in the video sting produced by Global Witness purportedly showing corruption in the acquisition of native land in the state were their personal opinions and have nothing to do with the government’s policy. Land Development Minister Tan Sri Dr James Masing in clarifying the issue yesterday stressed the statement that Dayaks were squatters in their own land by one of the persons during the negotiation over the sale a piece of land in Julau, which was secretly filmed by Global Witness, was contrary to the state government’s stand on Native Customary Rights(NCR) land. The government’s recognition of the natives’ ownership of their land was proven by the fact that some 700,000 hectares of their land had been identifi ed by his ministry as NCR land bank and some 60,000 hectares were developed into oil palm plantation, Masing told The Borneo Post yesterday. As chai rman of the stat e committee for NCR land task force, Masing said all NCR land deals had to pass through stringent procedures before it could be approved. He pointed out that NCR land could not be sold to foreigners and non-natives as it could only be bought by another native. He said that the discussion over the purported sale of the land in the video recording was irrelevant as any NCR land deal had to go to his ministry and not even the chief minster could override his ministry’s decision. Masing was also doubtful of the existence of the alleged land in Julau because most of the land there had been cultivated by shifting cultivators for more than 100 years as it was one of the earliest settlements in the state, as such there was no more timber of value left. “I know Julau land very well; it is very hilly and undulated and therefore it is not suitable for agricultural purposes. Only a stupid fool will buy it,” he said. On the issue of squatting, Masing said the natives could not be squatters in their own land and therefore the works by Global Witness was edited with the intention to stir the sentiments of the natives. Masing said that the interview by Global Witness was a con job as the different recordings were edited according to their script to prove corrupt practices in land deals in the state. “It is obvious that Global Witness had strung together only bits and pieces of the whole interview and come up with a show to suit their agenda. This is the problem with production editing. “The producer picks and chooses part of people’s speeches to fit their assumption. In this case the truth is cast aside.” he pointed out in urging the state’s natives not to fall into their trap. The minister also pointed out that the interview was taken by a hidden camera so it was done in a bad faith and described it as ‘seriously wrong’. “Taping people without them knowing it is wrong. It is just like the case of Robin Hood robbing the rich and giving to the poor. The intention might be good but the method is wrong. So they are doing this just to fit their assumption. And that is wrong,” he said. KUALA LUMPUR: A Feng Shui expert has predicted that Barisan Nasional will win the 13th general election (GE13) at the federal level and regain Selangor and Kedah. David Koh predicted that the BN wi l l also win more state legislative assembly seats in Penang compared to the last general election. 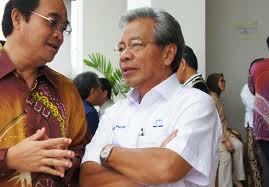 However, the BN was expected to face stiff competition in Negeri Sembilan and Perlis, he said when contacted by Bernama. Earlier, Koh had told Bernama TV that he predicted the GE13 would be held on May 5 and his prediction had clearly been accurate when the Elect ion Commission (EC) chairman Tan Sri Abdul Aziz Mohd Yusof announced the date yesterday. Although many people brushed aside his prediction as a ‘wild guess’, Koh pointed out that his prediction was based on Feng Shui calculation known as ‘Shi’ which meant war. “Af ter the di ssolut ion (of Parliament) on April 3, we have 60 days to hold the general election, so according to the ‘shi’ formula, throughout the 60 days there will be one day where there will be war, and that day falls on May 5,” he said. PUTRAJAYA: Polling for the 13th general election is on May 5 while nomination of candidates is on April 20. 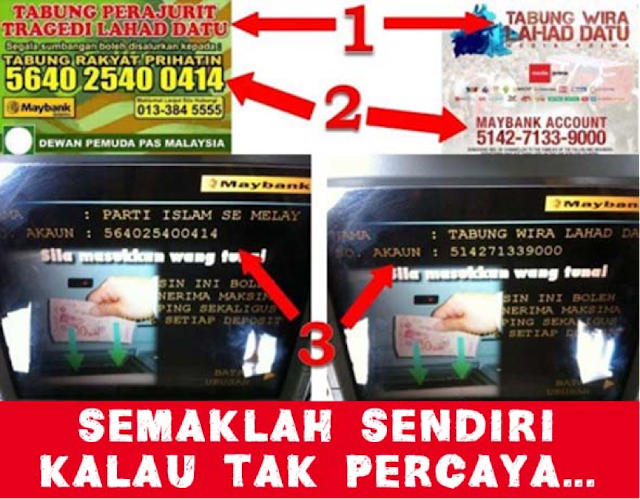 This was announced by Election Commission chairman Tan Sri Abdul Aziz Mohd Yusof. Prime Minister Datuk Seri Najib Tun Razak dissolved Parliament on Wednesday April 3, paving the way for the 13th general election. The EC said all 222 parliamentary and 505 state seats will be decided on the same day. Election Commission (EC) chairman Tan Sri Abdul Aziz Mohd Yusof making the announcement on polling and nomination dates for the 13th general election in Putrajaya on Wednesday. - RAJA FAISAL HISHAN/ The Star. Voters in Sarawak will not elect a new state assembly, as the current state government still has three years of its mandate left after the polls in 2011. Earlier, the Election Commission began its meeting at 9.30am to finalise the polling and nomination dates for the 13th general election. The much-anticipated press conference was covered by scores of print and TV journalists who arrived as early as 8.30am. After a photo-shoot, the reporters waited at the media centre. They returned at 12.15pm for the press conference at which the dates were announced. #PenipuRakyat : PAS Songlap Duit Tabung Lahad Datu Macam Tabung Memali? 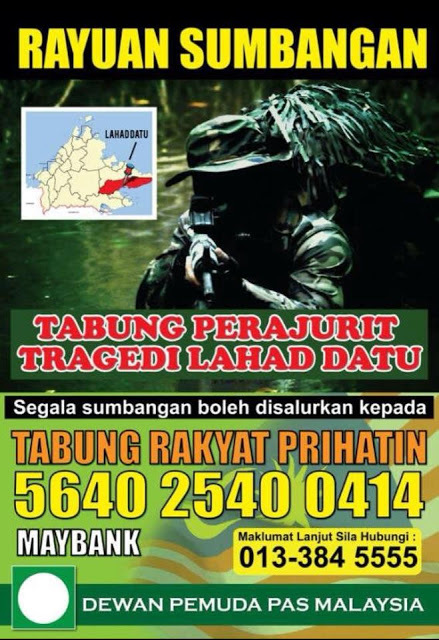 Rayuan Tabung Lahad Datu yang ditubuhkan oleh Dewan Pemuda PAS Malaysia dilancarkan pada 7 Mac yang lalu sepi tanpa sebarang khabar berita. Berapakah jumlah yang berjaya dikumpulkan dari tabung tersebut dan ke mana ianya disalurkan adalah dua soalan yang bermain di fikiran saya. Kenapa dua soalan ini perlu ditimbulkan? Pertama kerana kutipan derma ini disalurkan menerusi akaun Maybank bernombor 5640-2540-0414 iaitu akaun milik PAS, sebagai rakyat yang prihatin kita bimbang wang tersebut tidak sampai ke pihak sepatutnya. 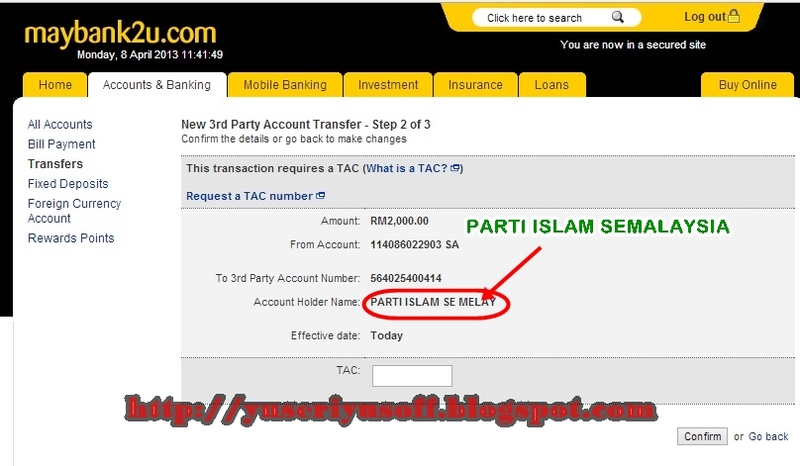 Tabung untuk perajurit tapi akaun yang digunakan milik Parti Islam Semalaysia (PAS), kenapa PAS tidak menubuhkan satu akaun baru yang khas untuk orang ramai dan ahli parti itu menyumbang kepada perajurit di Lahad Datu? Bagaimana PAS membezakan wang sumbangan untuk perajurit Lahad Datu dan wang milik mereka? 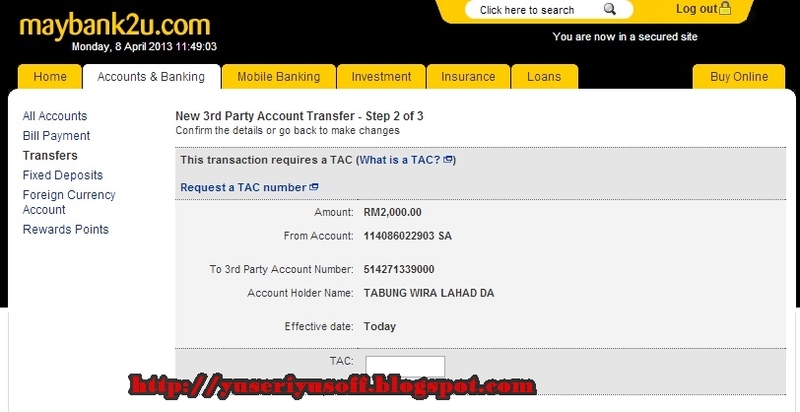 Dengan cara ini, pihak penganjur mengetahui jumlah yang berjaya dikumpulkan dan pastinya wang dalam akaun tersebut adalah untuk perajurit di Lahad Datu. Justeru itu, PAS perlu mengumumkan berapakah jumlah yang mereka kumpul hasil tabung yang dilancarkan oleh mereka atas nama akaun Parti Islam Semalaysia (PAS)? Kedua PAS perlu membuktikan wang tersebut disalurkan dan adakah ia benar-benar sampai kepada perajurit di Lahad Datu. Desakan ini wajar dibuat kerana rekod PAS sebelum ini amat buruk apabila melibatkan duit-duit derma. Lihat saja Tabung Memali, berjuta hilang entah ke mana, balu-balu tidak terima satu sen! Layan dikir barat dulu selagu...!